Hiya guys! TGIF, it's time for Halloween weekend. Woot! I feel I have been pumping out so much nail art that I haven't swatched or reviewed anything in a hot minute. Oh you guys will definitely have to sit through a few more manis this weekend don't worry, haha. 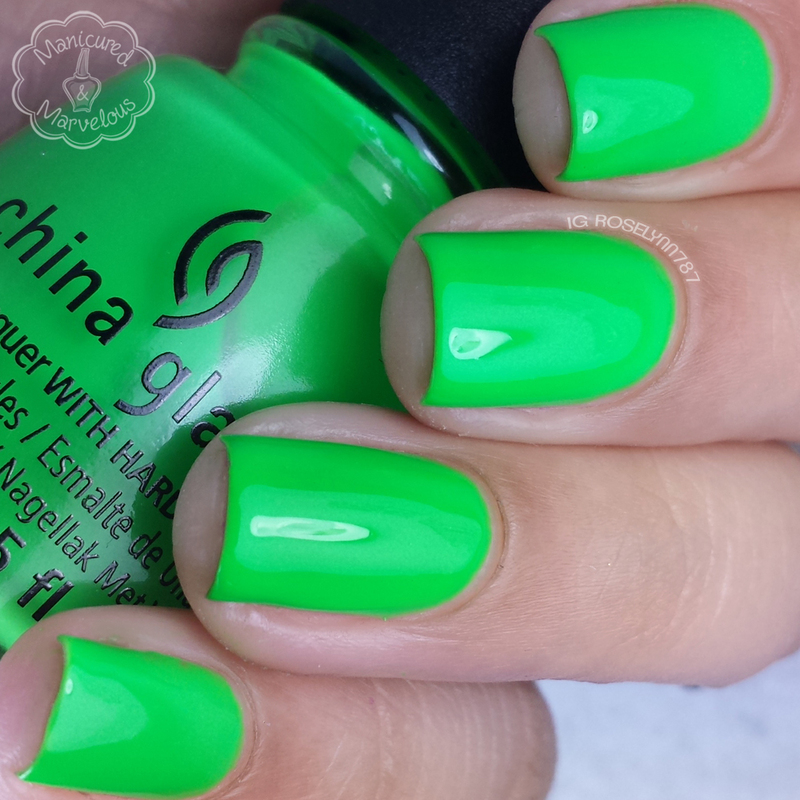 But for today I'd like to share swatches for the Ghouls Night Out Collection from China Glaze. I have been looking forward to this collection ever since I fell in love with last years collection. 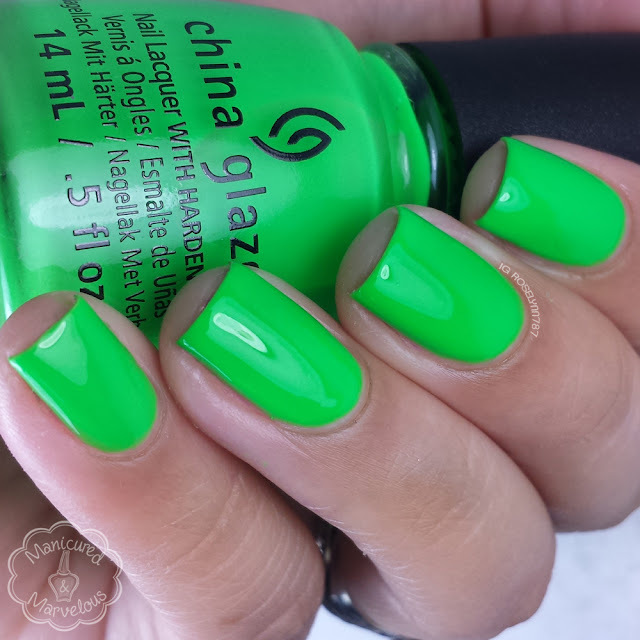 Since then China Glaze has been killing with every single collection this year! So a little bit of high exceptions... no pressure China Glaze. 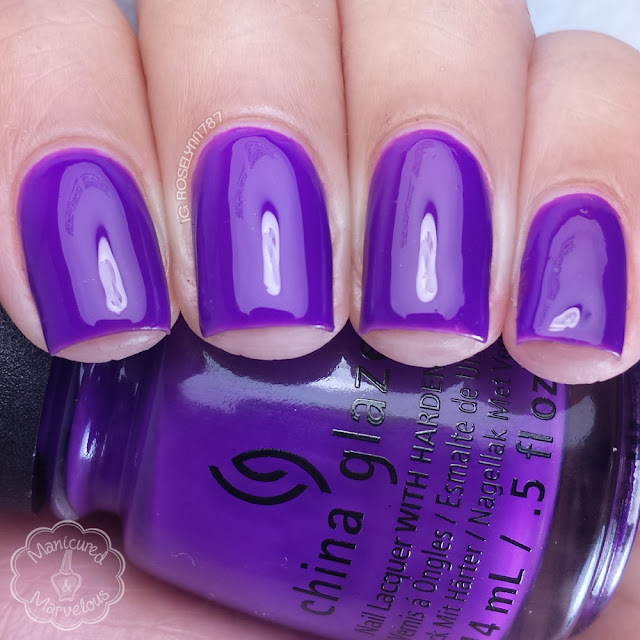 The Ghouls Night Out Collection from China Glaze is available for purchase in-store and online. I purchased my set from Sally's Beauty Supply about two weeks ago and they had plenty in stock. Each one retails for $7-8 depending on whether or not there is a sale or you have a coupon. I think I ended up getting each one for $5-6 dollars thanks to a birthday coupon and an in-store promo. 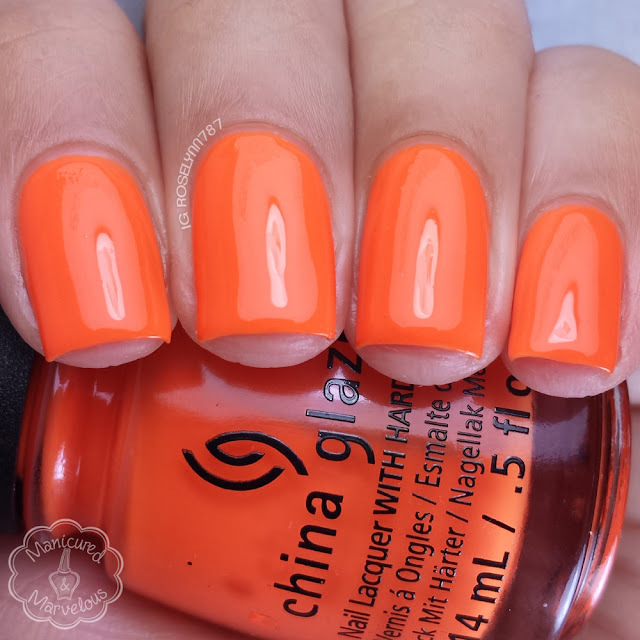 Lady And The Vamp can be described as a bright orange creme. 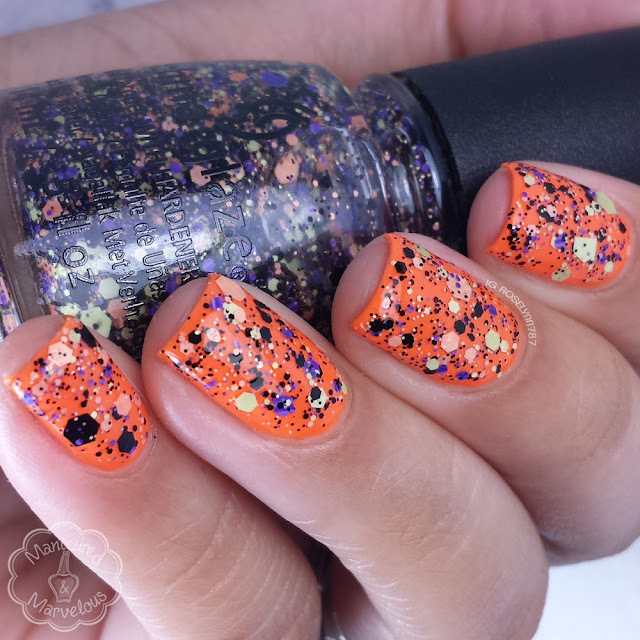 I have definitely used this one quite a bit the last week for Halloween manis. 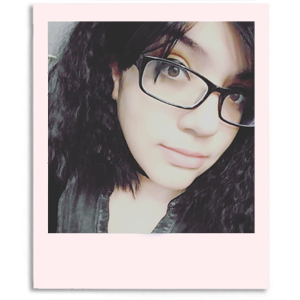 I don't tend to have a lot of oranges and didn't have a creme in this particular shade so it was a good addition to my collection. Other than that though, I can see it being skipped over. The formula was decent, but does apply sheer and patchy on a first coat. However, it does end up self-leveling really well and ends out to a smooth opaque finish. Shown here in two coats and sealed with a glossy topcoat. Drink Up Witches can be described as a neon lime green creme. Photos really don't do this color any justice because it is so much brighter in person. 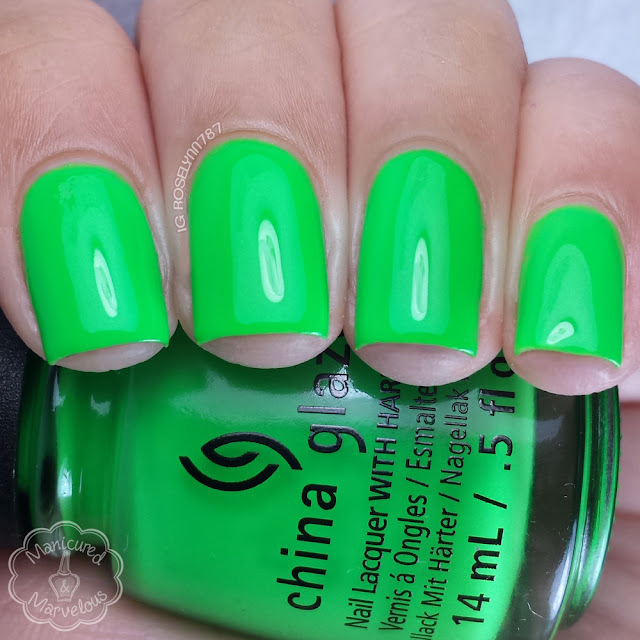 I want to say that this is a must-have, but after a summer of neon craze I don't see anyone not having a neon green at this point. 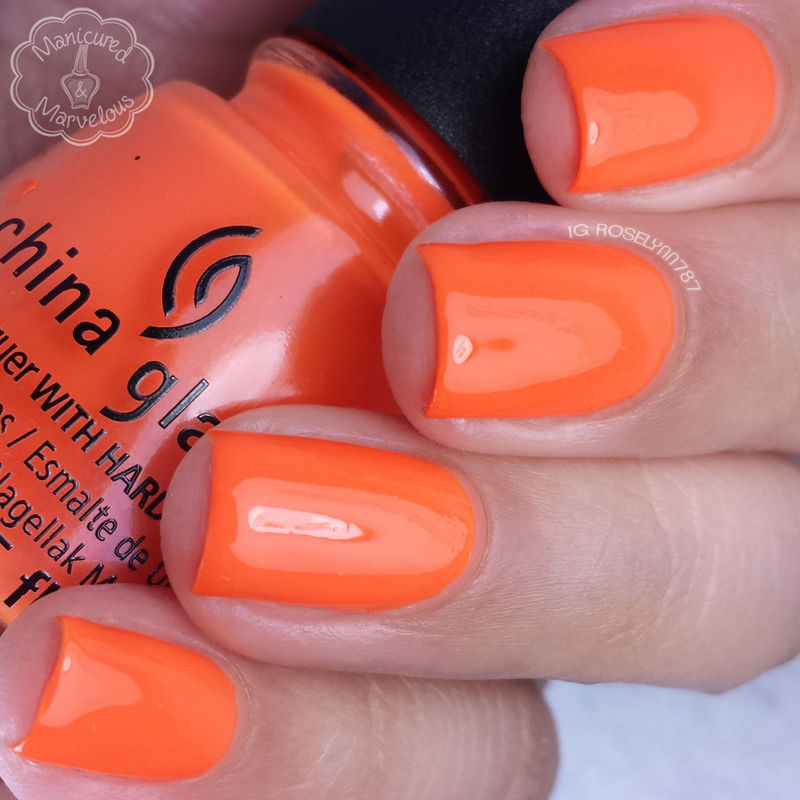 The formula is similar to Lady And The Vamp and initially appears sheer, but builds up well and opaque. The finish dries a little on the matte side like most neon shades tend to do. Shown here in two coats and sealed with a glossy topcoat. 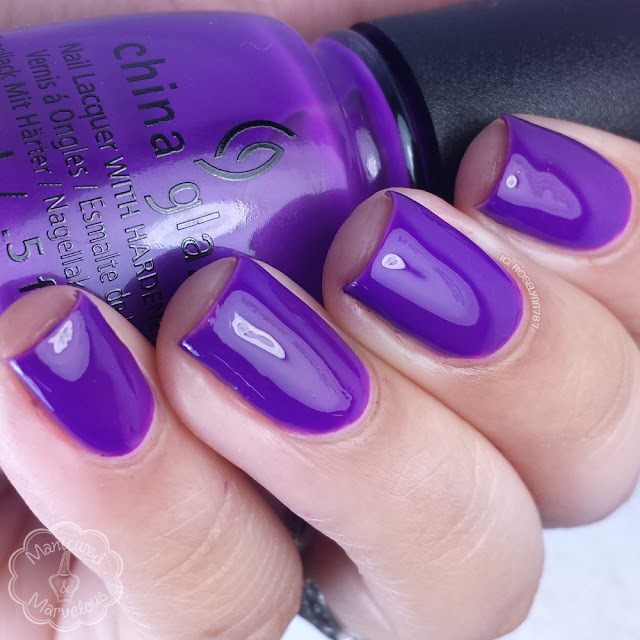 Looking Bootiful can be described as a vibrant purple jelly polish. I think this was more intended to be a creme like the other two, but the consistency is definitely that of a jelly. 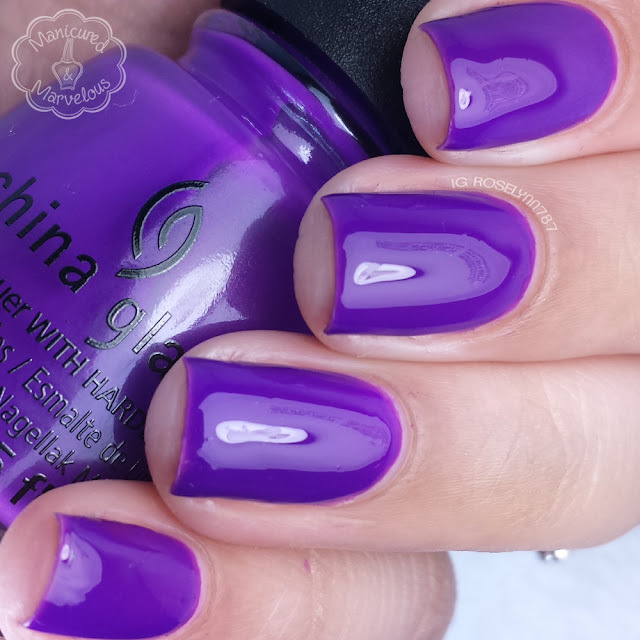 Purple is my favorite shade so I have used this one quite a bit despite its formula. The consistency is a bit on the thin side and tended to flood my cuticles. Formula applies uneven and patchy and doesn't even out as well as the others. Shown here in three coats and sealed with a glossy topcoat. 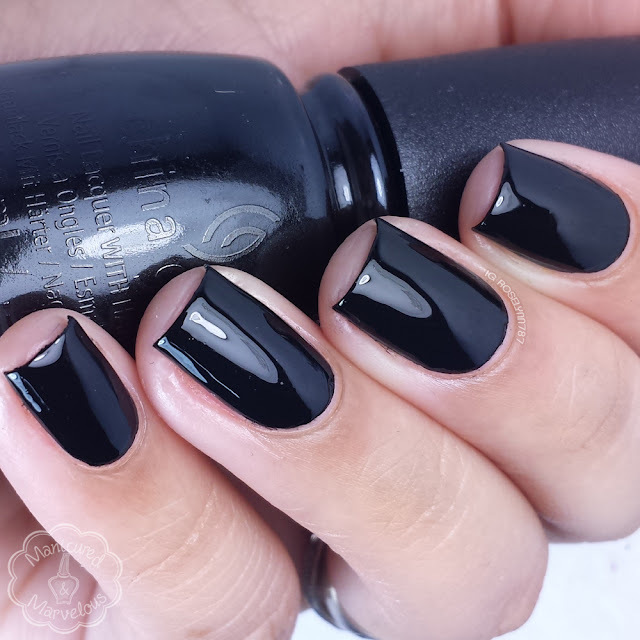 Liquid Leather can be described as the classic black creme polish. 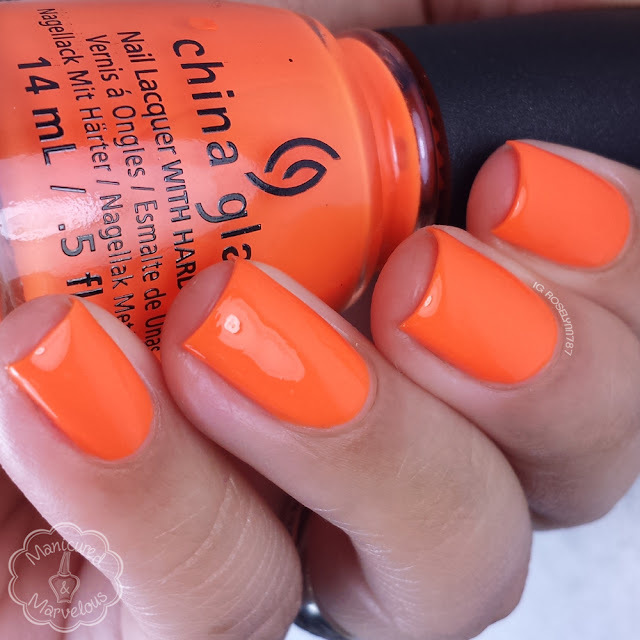 Now this is one of China Glaze's core polishes and not a new release. I happened to need a new black and since it was just right there... well how could I not pick it up. Spoken like a true addict. Anyway I decided to include it in this post because it is being displayed along side this collection in most places I have seen. The formula is good and has a nice smooth application, although it's a bit streaky on a single coat. Shown here in two coats and sealed with a glossy topcoat. Something’s Brewing is a clear glitter topper filled with light green and black hex glitters in different sizes. 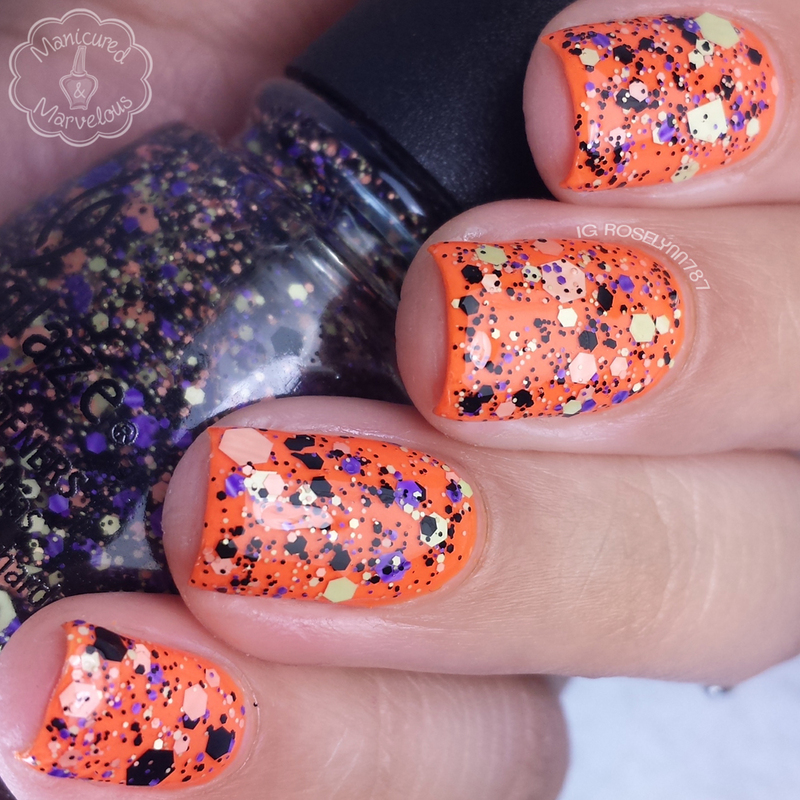 This is the perfect Halloween glitter topper! It's like you look at this and can't help but immediately think of Halloween. I really think it'd look great among any of the cremes in this collection too. The formula has a good consistency and smooth application without the need to dab. Shown here is one coat over Looking Bootiful and sealed with a glossy topcoat. Cackle If You Want To is a glitter topper filled with purple and black matte hex glitters in different sizes. I've paired it for these swatches with Drink Up Witches. I love everything about this combination, this is definitely my favorite among the three glitter ones. Some of the purple glitters have stripes, so unique! Formula was good, if not just a bit on the thick side which helped with the glitter placement. I only needed to apply one application for the coverage you see here. Ghostess With The Mostess is a clear glitter topper filled with black, purple, light orange hex glitters in different sizes. Definitely the least favorite of mine from the three glitters. The light orange peachy glitters feel almost out of place in this combination. The formula is consistent with the other glitter toppers and has ample glitter on a single brush stroke. Easy to apply and works well without the need to dab. Shown here is one coat over Lady And The Vamp and sealed with a glossy topcoat. Overall I am happy with my purchase of this collection, but as a whole I found it underwhelming. At least in comparison to last years Halloween collection, this one just had a lackluster feeling throughout. 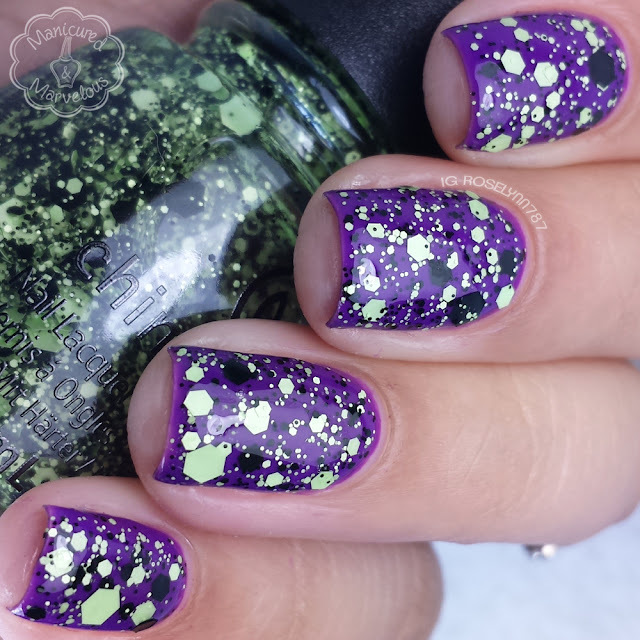 The solid colors work well for nail art and have a good consistency for watermarbles. Although I used these a lot the last two weeks, there is nothing unique to them per say. I have a limited creme selection, so for me it ended up working well. But what about you guys? Did you grab any polishes from this collection or were you disappointed? Liquid Leather is my HG black. I can usually get away with one coat. Yeah I have such a light hand with my coats. But I do have to say this may be my new fav black. I skipped this release. I feel like the toppers go nicely with the bases, but I seem to have similar things from previous CG collections. Exactly! I don't blame you for skipping it. Last years collection had me so hyped, but this was a little underwhelming. Yes definitely! Now you know why I used them so much during my Halloween nail art. These are so pretty!! I need more CGs for sure. Come take a helmer drawer off my hands haha. I'm up to three full drawers of nothing but CG. I like that they went for brighter colors for Halloween, this is a nice collection! I agree, I wasn't expect such brightness almost neon shades from them. I wish they would of went in a different direction. I'm so torn about this collection. 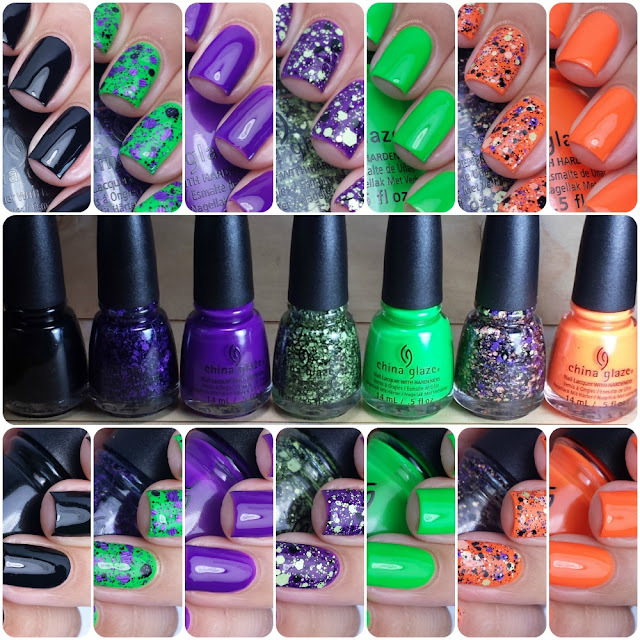 I like the brights since it is different than other Halloween collections, but then I'm also kind of tired of neons. At least the glitter toppers are cute! I haven't seen this collection at ALL yet. The glitter toppers are my favorite, especially "Cackle."